Close collaboration between design and tile installation teams matter intensely as we are discovering from connecting with the Coverings 2016 Design Installation Showcase participants. In the case of Architecture is Fun's Boutique Hotel X Lobby, it also makes for a fun and playful environment given the bold use of wood plank tile in a herringbone pattern. Hotel lobbies need to be functional. They must also immediately communicate a vibe to visitors. 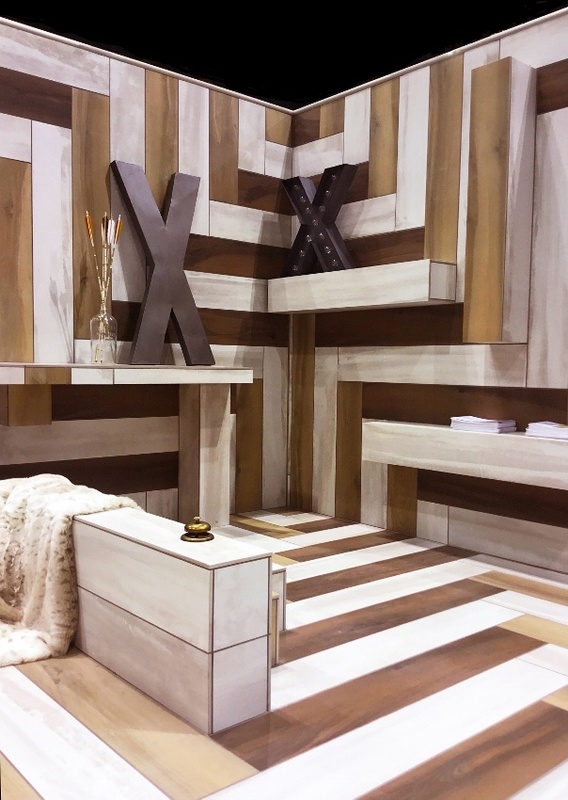 In the case of the Coverings 2016 Hotel X Lobby, that vibe was about a strong, playful, relaxing sense of welcome that the strong herringbone pattern made real. "A passion for travel to exotic locales and public spaces that delight, charm and play with emotions inspired the design team from Architecture Is Fun. In conceptualizing their boutique hotel lobby vignette, the team sought to create a vibrant social space that is dynamic yet intimate, and serves an environment where visitors can ‘play and stay’ in their own personalized way, whether it’s in a rebellious, creative, calm or social." Achitecture is Fun teamed up with expert tile installers from Grazzini Brothers who are ACT certified using porcelain tile from Florim, including stained cement stoneware and stained wood plank tile. Introducing Architecture is Fun, Inc. 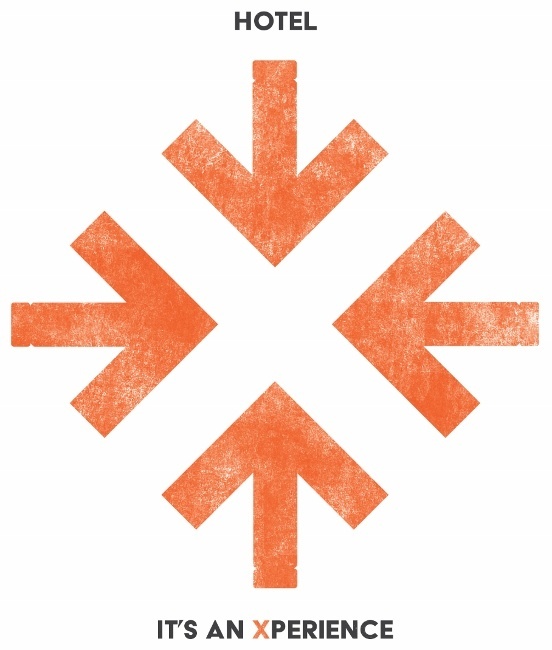 Play and public space, which includes over 65 museum, cultural, corporate and community-centric projects, each reflective of place and participant. Peter Exley FAIA RIBA is Director of Architecture; he ensures projects meet pragmatic criteria, while considering those of qualitative nature. Sharon Exley MAAE ASID is the studio's President. 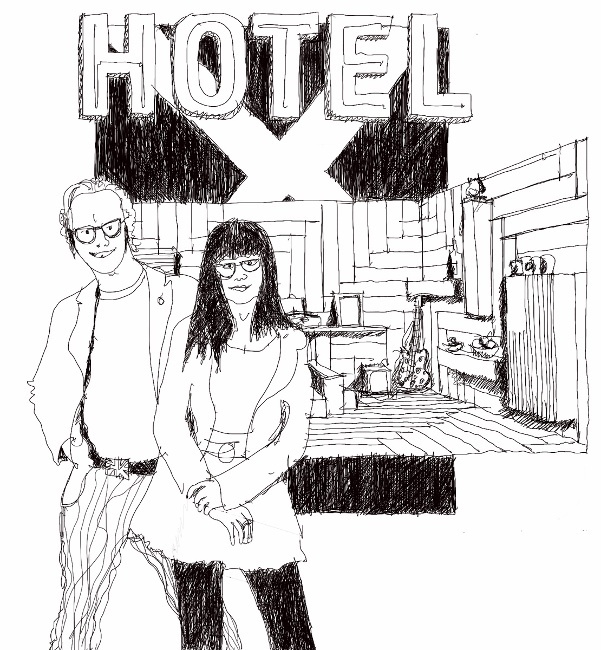 She focuses on making play an art, identifying client desires in art, beauty, curiosities, décor and play, all framed appropriately so the environment truly creates an experience, as does the Lobby of Hotel X. Together, the two are storytellers, crafting architecture, interiors and designed-objects as material clues, palettes and live expressions of brand and mission. CTEF: Sharon, tell us about yourself and your company. 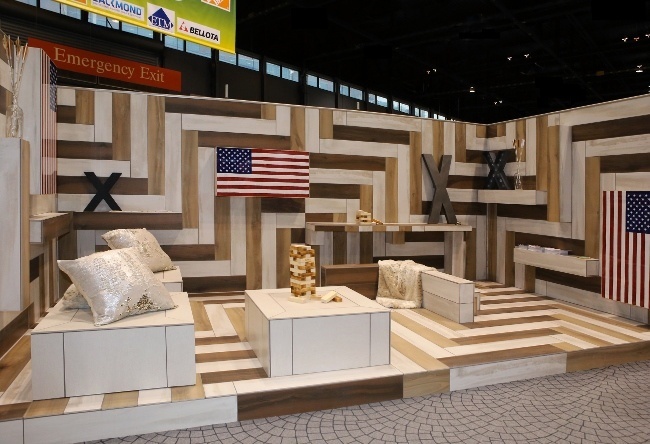 SE: I am co-founder of Architecture is Fun, a Chicago research-based architecture and design firm with a focus on play, public space and branded environments such as what we created with the lobby for Hotel X.
CTEF: What do you love most about tile? Do you use it frequently in your work? SE: At Architecture Is Fun, we love to dabble with materiality, to disrupt the norm and to “show and tell”. Tile and stone are materials that you can play with. Once you play with tile, you understand it can enrich, enhance, and envelop spaces, other than the norm. Tile can become a unifying element – adding color, form and beauty throughout. Tile can call attention to treasures, adding contrast and curiosity to a special collection. For our clients, the durability, clean-ability and longevity of products like stone and tile is a huge factor in specifying material goods. 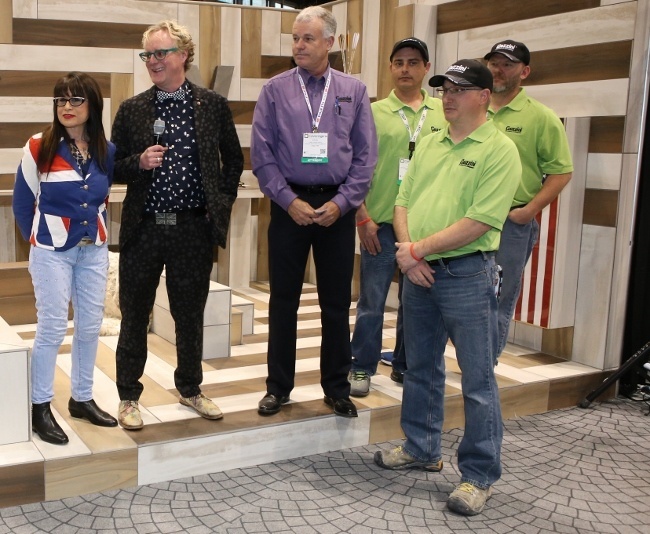 CTEF: How did you get involved in the Installation Design Showcase at Coverings16? SE: We heard it was the name of our firm that sealed the deal. Coverings16 was looking for fun. 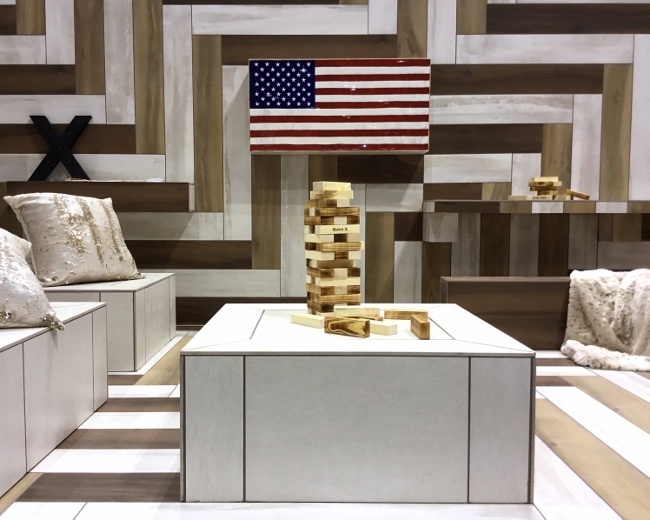 Plus we felt the Coverings show was a perfect play partner, allowing us to flirt with high quality goods, disrupting the norm and showing how our partner’s tile and stone can reflect a playful spirit. CTEF: What tile products did you use in your design and what inspired you to select those products? SE: Architecture Is Fun was recently honored with the Benjamin Moore HUE Award for our use of color in commercial environments, so it was terrifically interesting to be partnered with Florim USA’s large-scaled palette of porcelain. We thought a time-honored herringbone pattern would take advantage of the super-sized porcelain wood plank tile to create lived-in luxury. At Hotel X, using large-scaled products differentiates surfaces, shelves, and seating, cladding the lobby space in an aesthetic to write home about. It is an evocative, welcoming foyer in which impromptu, planned, serendipitous, and fun happens and where guests feel at home. Infusing the porcelain palette with color, contrast, and curiosity, warm honey and red wood tones were juxtaposed against bright-white concrete. 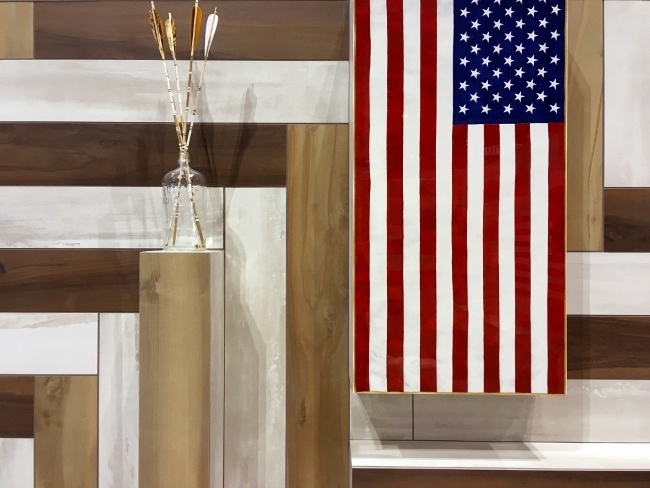 Digitally-printed porcelain American flags proudly add spirit and another layer of iconic pattern into the design mix. Using porcelain as the singular material built a continuous “social fabric”; one that helps stitch an open environment together. CTEF: What were some of the complex aspects of your design that a less competent installation crew would have had difficulty with? SE: Our certified tile installers really paid attention to the dimensions of elements like the bump-out shelves. There was zero tolerance since tile was on every side of the shelves. Reviewing the design with us and talking it through ahead of time was key to everyone understanding the best methodology, the most appropriate starting points and how to pre-fabricate items like that, which required special and careful attention. CTEF: How different is the Installation Design Showcase from real-world situations you’ve been involved in? SE: From our first Skype, we had great confidence in our installers. As professionals, we both know, for example, that there will be dimensional differences in the field. We thought of ourselves as one team. During these touch point communications with Grazzini Brothers, we concentrated on potential challenges and assessed how we might solve those together. While the showcase encapsulates a full project scope, executing it within a compressed timeline required efficient decision-making with the installation team. Working with such a fine installer allowed us to play with pattern and form, to use responsible products including a new USG green backer board, and to tackle technical details; all of which were on show for attendees to observe as the vignette quickly took shape. CTEF: What are some tile installation problems you’ve encountered in other projects and how did you deal with them? SE: Common installation issues include appropriate substrates, grout, and finishing techniques. While our specifications always include certified installers, contractors and clients don’t always follow through. We’ve begun to suggest pre-qualifying a pool of certified installers for public projects that go to bid, hopefully ensuring a level of quality we’d like to see in place. CTEF: How did Grazzini Brothers stand out as expert quality tile installers? SE: As expert certified installers, Grazzini Brothers broached finishing details during our design conversations. We spoke a lot about tile edge banding or whether we would expose the edges. They shared information about products like Schluter edge trim and really helped us make the decision not to conceal or caulk but to expose our edges as a design element. The roughness and whiteness became an appropriate and well selected match to the urban Hotel X sensibility. We came to that decision together. Grazzini Brothers were so well prepared and prepped that they were on target to finish quickly. Good thing we could take time to compete against each other, playing giant Jenga. CTEF: Sharon, how can readers contact you and your company? Give us a call at 312.335.1317, check us out online at www.architectureisfun or visit our work in person, real-time. You can explore a portfolio of our products on Architizer and on World Architects. CTEF: Thank you, Sharon and Architecture is Fun! What's your reaction to this fun and playful tiled Hotel X lobby? 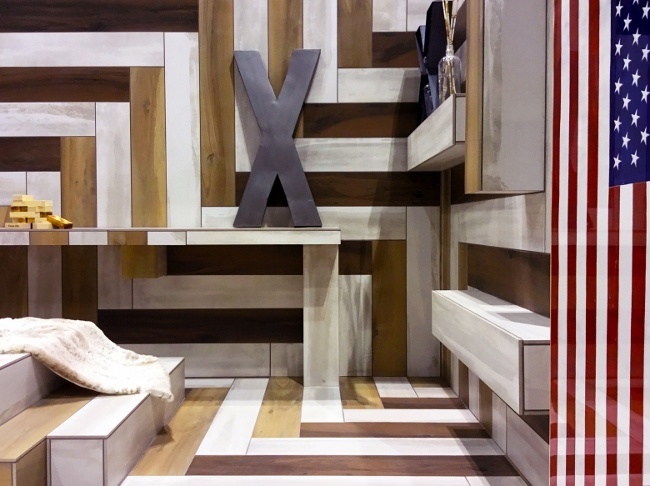 Have you considered wood plank tile in a herringbone pattern in your space? 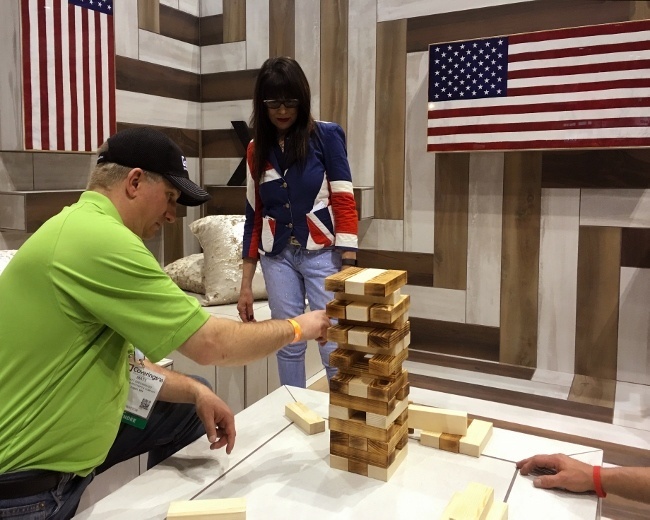 Couldn't you see yourself spending time relaxing and playing giant Jenga? 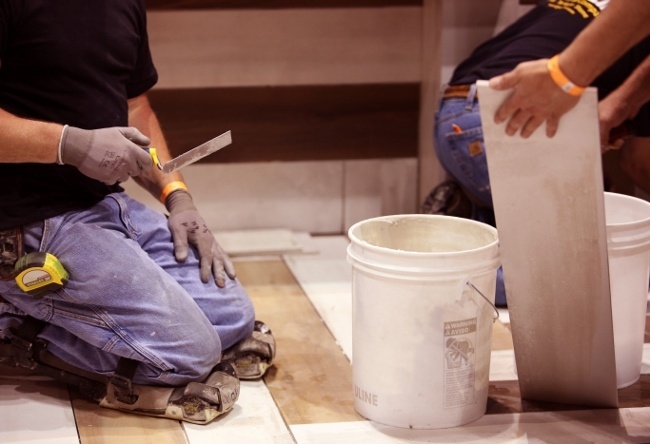 To learn more about tile installation certification programs, explore the Certifications Programs detailed on the CTEF website.